6 3), ( :, 1979), 193., 17. 4),, ),, ),,,, 72. 7 Victorious Lives of Early Christians in Korea 2. 9 7), : (, 1991). 13 09) Walter Brueggemann, The Prophetic Imagination (Philadelphia: Fortress Press, 1978). 10), ( :, 1983), 43. 15 Pastoral Counseling: Its Theory and Practice 11) ( :, 1965). 16 Psychology of Pastoral Care Counseling and Psychotherapy Basic Types of Pastoral Counseling 12),, ( :, 1964);,, ( :, 1968). 13),, ( :, 1963). 14), :,, ( :, 2009), 3-8.,, 50(2007), (1997). 15),, ( :, 1979),,, ( :, 1987). 19 The Meaning of Pastoral Care 17),, ( :, 1977),,, ( :, 1979), 18) 1980, : ( :, 1984), C., : ( :, 1986), D. S,, ( :, 1986). 20 19),, ( ). Jae Hoon Lee, The Exploration of the Inner Wounds- Han, (Ph. D. Dissertation, Union Theological Seminary, New York, 1990); Woon San Sohn, Telling and Retelling Life Stories: A Narrative Approach to Pastoral Care, (Ph. D. Dissertation, Vanderbilt University, 1990); Suk-Mo Ahn, Toward a Local Pastoral Care and Pastoral Theology: The Basis, Model, and the Text of Han in Light of Charles Gerkin s Pastoral Hermeneutics, (Ph. D. Dissertation, Emory University, 1991), Young Ae Kim, From Brokenness to Wholeness: A Theoretical Analysis of Korean Women s Han and a Contextualized Healing Methodology, (Ph. D. Dissertation, School of Claremont, 1991). 21 20) ( ). 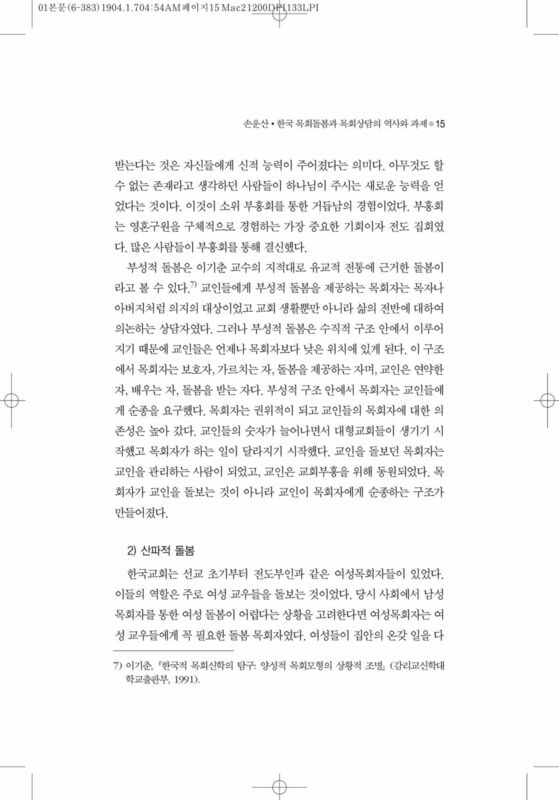 Kyou Hoon Oh, Dimensions of Chong in Korean Christians, (Ph. D. Dissertation, Northwestern University, 2000); Jacob Hee Cheol Lee, Exploring Shame: Re-articulation through the Lens of Social psychology and Korean Theology, (Ph.D. Dissertation, Graduate Theological Union, 2007). 21). Jin Young Kim, A Son s Search for Identity through Relationship, (Ph. 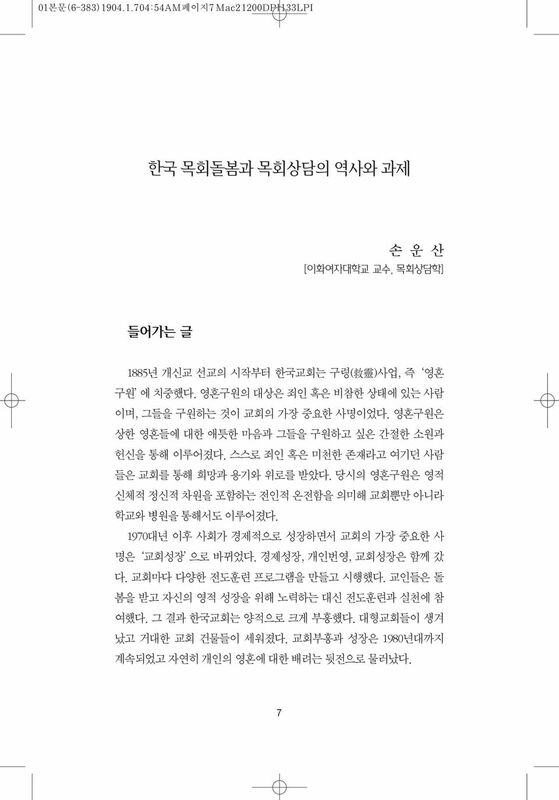 D. Dissertation, Drew University, 1998); Young Taek Hong, A Social- Cultural Analysis and Family Therapy Approach to the Korean Family in Transitionm, (Ph. D. Dissertation, Iliff School of Theology and The University of Denver, 1993). 22), Jae Rack Choi, Ethical Critique of Self-Actualization in Humanistic Psychology: Validation for a Culture of Care among Korean People, (Ph. 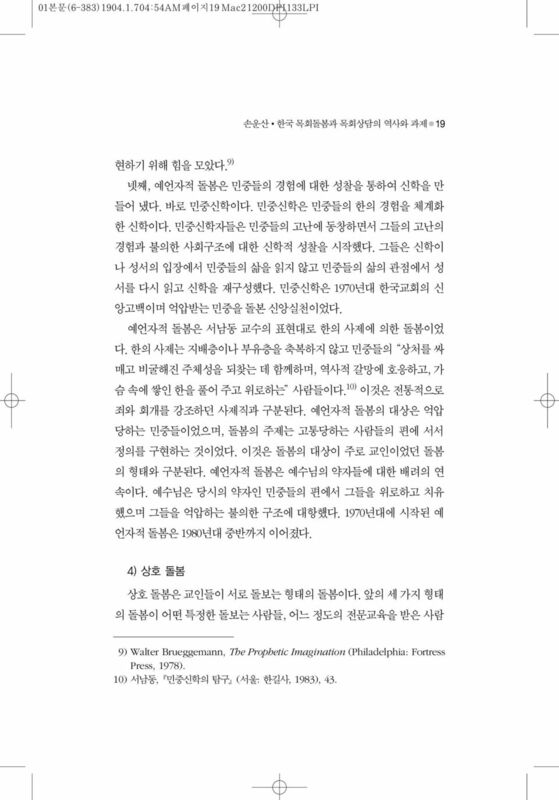 D. Dissertation, Drew University, 1991); Suk Hwan Jueng, Generativity in the Midlife Experiences of Korean First Generation Immigrants: Implications for Pastoral Care, (Ph. 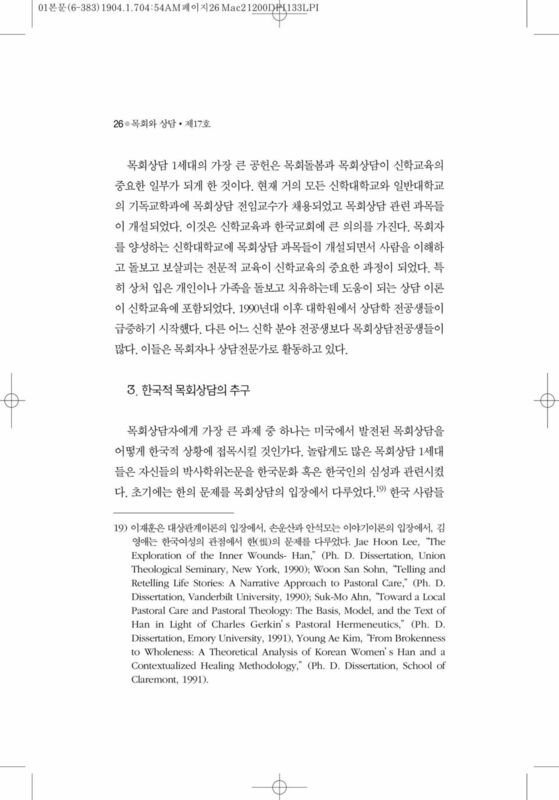 D. Dissertation, Northwestern University, 1997).. Shinwan Pan, A Psychological Study of Divine and Parental Images of Korean Protestant Glossolalists in Comparison to Nonglossolalists, (Ph. 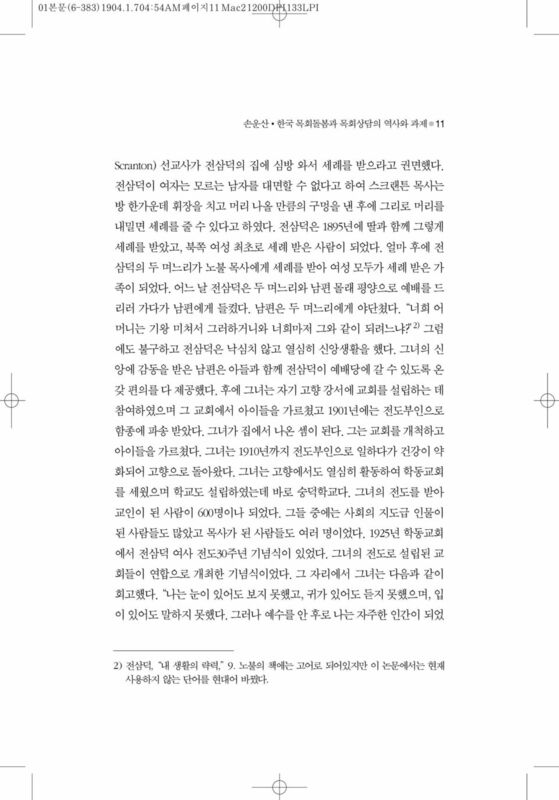 D. Dissertation, Graduate Theological Union, 1995) Soo-Young Kwon, God Representations: A Psychological and Cultural Model, (Ph. D. Dissertation, Graduate Theological Union, 2003). 22 23), ( :, 2009);, ( :, 2009);, ( :, 2011) , (, 1997). 23 24) , 1 82, 131, 62, 46. 32 Ahn, Suk-Mo Ahn. Toward a Local Pastoral Care and Pastoral Theology: The Basis, Model, and the Text of Han in Light of Charles Gerkin s Pastoral Hermeneutics. Ph. D. Dissertation, Emory University, Brueggemann, Walter. The Prophetic Imagination. Philadelphia: Fortress Press, Choi, Jae Rack. 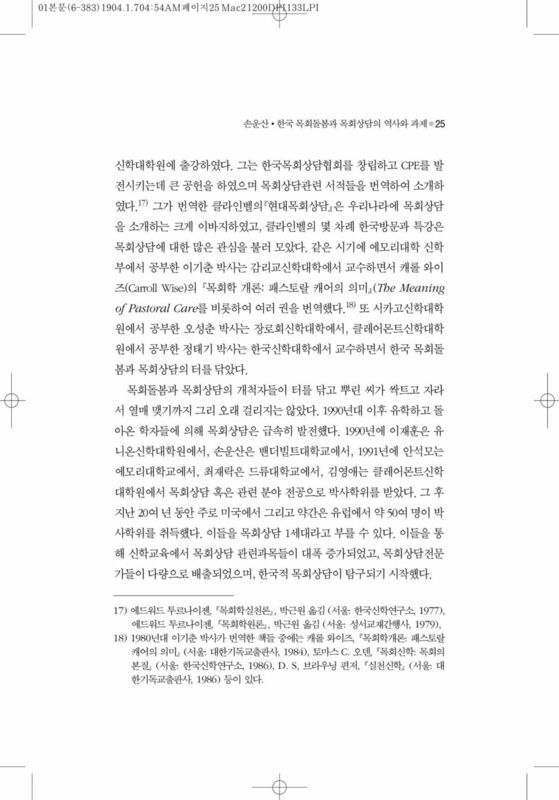 Ethical Critique of Self-Actualization in Humanistic Psychology: Validation for a Culture of Care among Korean People. Ph. D. Dissertation, Drew University, Hong, Young Taek. A Social-Cultural Analysis and Family Therapy Approach to the Korean Family in Transition. Ph. D. Dissertation, Iliff School of Theology and The University of Denver, Jueng, Suk Hwan. Generativity in the Midlife Experiences of Korean First Generation Immigrants: Implications for Pastoral Care. Ph. D. Dissertation, Northwestern University, Kim, Young Ae. From Brokenness to Wholeness: A Theoretical Analysis of Korean Women s Han and a Contextualized Healing Methodology. Ph. 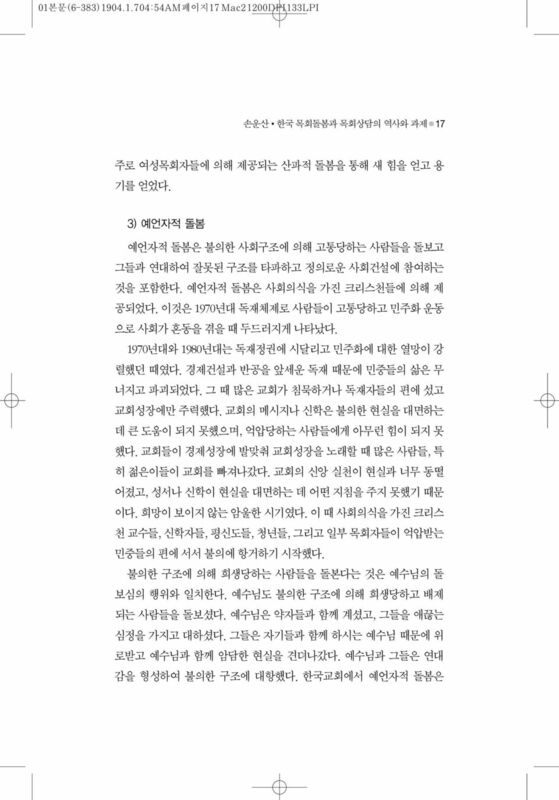 D. Dissertation, School of Claremont, Kim, Jin Young. A Son s Search for Identity through Relationship Ph. D. Dissertation, Drew University, Kwon, Soo-Young. God Representations: A Psychological and Cultural Model. Ph. 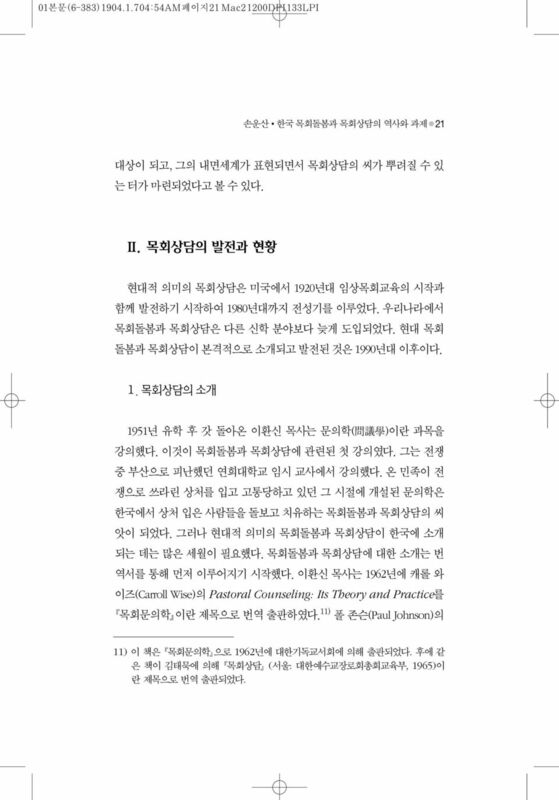 D. Dissertation, Graduate Theological Union, Lee, Jacob Hee Cheol. Exploring Shame: Re-articulation through the Lens of Social psychology and Korean Theology. Ph.D. Dissertation, Graduate Theological Union, Lee, Jae Hoon. The Exploration of the Inner Wounds-Han. Ph. D. Dissertation, Union Theological Seminary, New York, 1990. 33 Oh, Kyou Hoon. 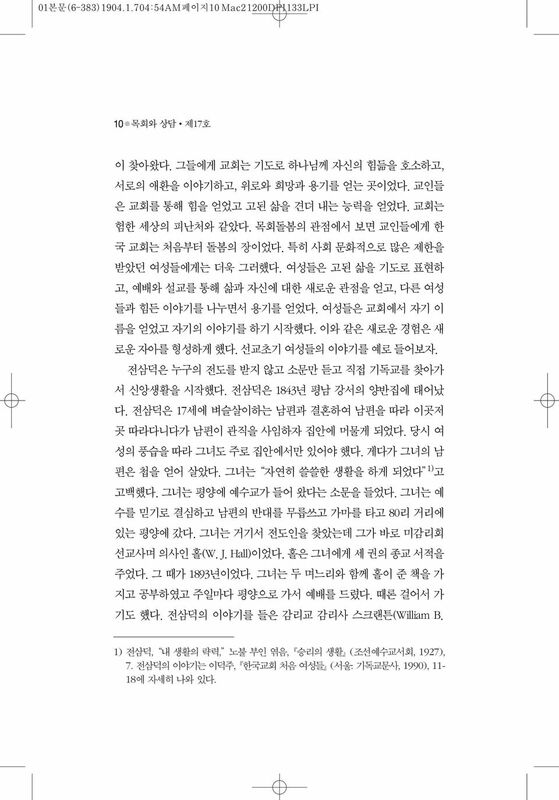 Dimensions of Chong in Korean Christians. Ph. D. Dissertation, Northwestern University, Pan, Shinwan. 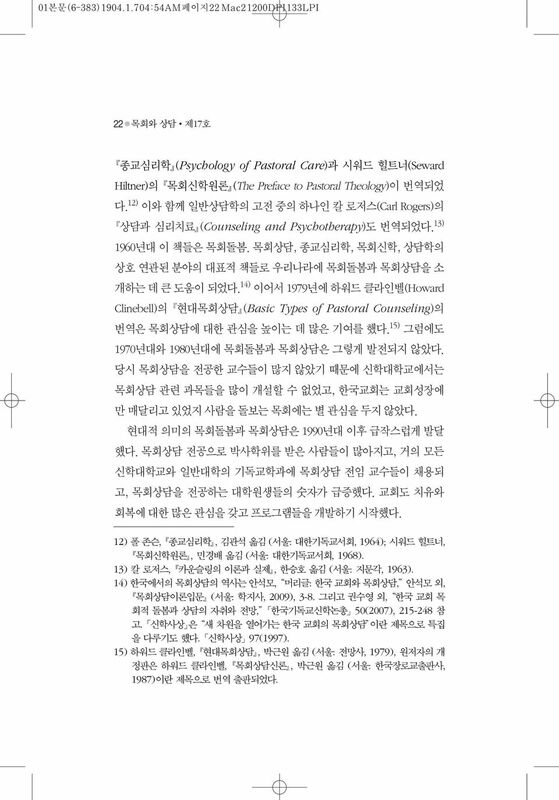 A Psychological Study of Divine and Parental Images of Korean Protestant Glossolalists in Comparison to Nonglossolalists. Ph. 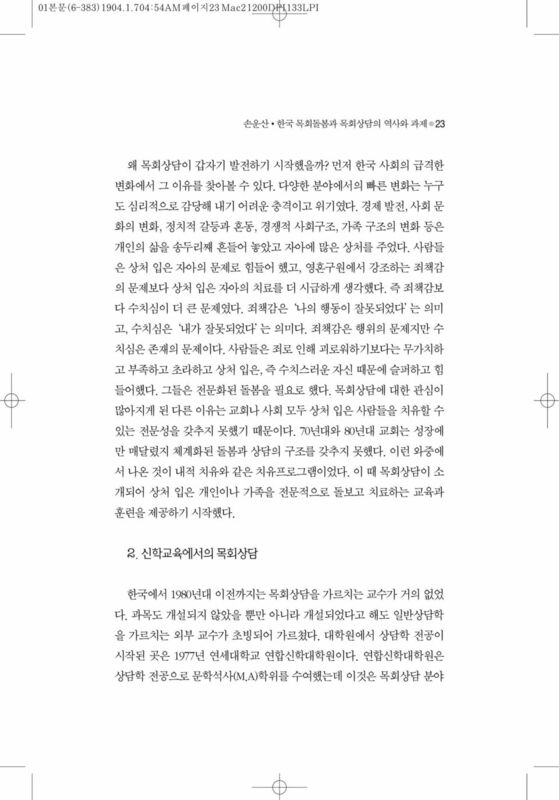 D. Dissertation, Graduate Theological Union, Sohn, Woon San. Telling and Retelling Life Stories: A Narrative Approach to Pastoral Care. Ph. D. Dissertation, Vanderbilt University, 1990. Vol. 27-2 l 합신은 말한다 통권 166호 발행인 성주진 편집인 현창학 편집위원 김학유 김진수 창간일 1986년 4월 20일 발행일 2012년 3월 30일 H APDONG THEOLOGICAL SEMINARY NEWS 2012 3 30 합신칼럼 복음의 실력 우리는 신앙이 왜 잘 자라지 않을까. 또 환경의 조그만 변 화에도 안절부절 하며 중심을 잡지 못할까.